HDFC Chairman Deepak Parekh at an interview with PTI in Mumbai. 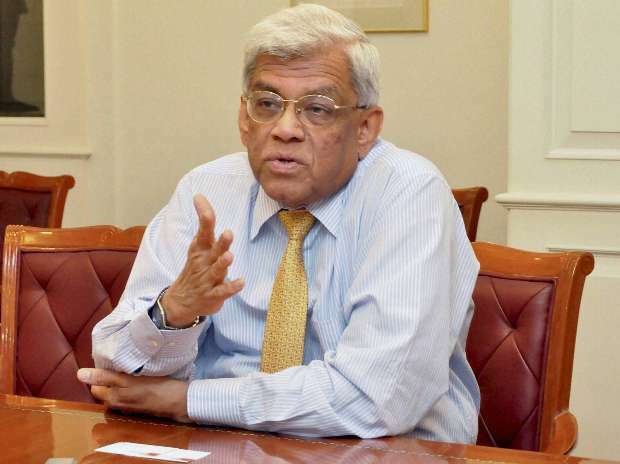 Pitching for relaxing “administrative controls” to improve ease of doing business, business leader Deepak Parekh has said impatience has begun creeping in among businessmen, as nothing has changed on the ground in the first nine months of the Narendra Modi government. He said the industry was still optimistic about the changes it expects from the Modi government, but optimism is not translating into revenues and there has been little improvement on ‘ease of doing business’ front so far. Parekh, known as a guiding voice of the Indian industry and has been on a number of key government panels on various policy and reform matters, further said the ‘Make in India’ can’t succeed unless it is made easier for people to do business here and the decisions are fast-tracked. “I think there is still a lot of optimism among the people of the country and among the industrialists and entrepreneurs that the Modi government will be good for business, for progress, for reducing corruption. They think this government means business on all these fronts. “However, after nine months, there is a little bit of impatience creeping in as to why no changes are happening and why this is taking so long having effect on the ground. “The optimism is there but it is not translating into revenues. Any industry you see, when there is a lot of optimism, the growth should be faster,” Parekh told PTI in an interview. Parekh, an eminent banker and chairman of financial services giant HDFC, has always been very vocal with his views on reform and policy measures taken by the various governments over the past three decades. He was among the first industry leaders to openly criticise the previous UPA Government for “policy paralysis” after a spate of scams led to decisions getting delayed within the government and business began getting hurt. “The thing is that our Prime Minister had a lucky period in these nine months. The world commodity prices are at all-time low which help India the most,” Parekh said. Parekh cited the example of delay faced by his own group’s HDFC Bank, the country’s top private sector lender, with regard to approvals required for raising of funds, including from overseas. “Things are happening at such a speed around the world, we need to move faster as well. Just to give you an example of our own case. We needed to raise some capital in HDFC Bank. It took more time this time than earlier years to get approvals from FIPB,” Parekh said. On benefits from oil prices, he said there are many countries that import oil but benefits have been huge for India. Japan is also one of the countries that imports oil. But it does not make any difference to Japan with the reserves of oil they have, whether oil is at $50 or $40 or even $110. Also, they are willing to pay higher price because they can afford it, but we can’t. “We have fiscal deficit and shortage of foreign exchange. These factors, when the government came into power, this was not there on the cards. No one had ever anticipated this (fall in oil prices). Just like none of the 7-8 opinion polls predicted 67-3 in Delhi, no one predicted among the oil analysts at the big firms that the oil will become USD 55. No one predicted this,” he said while emphasising that the first nine months of the Modi government has been extremely lucky for it. Elaborating on HDFC Bank’s example with regard to ‘ease of doing business’, Parekh said, “It got FIPB approvals. Then FIPB minutes had to be signed, and then it had to go to the Cabinet Committee on Economic Affairs. “People were helpful but processes have not changed. Now we are a 20-year-old organisation and we are within the limits (of 74 per cent foreign investment cap). Why can’t they change these things. Why can’t the administrative controls be relaxed. “If 49 per cent in defence is permitted and if someone wants to put in Rs 1,300 crore, why should this go to the Cabinet Committee. The FIPB is good enough and it is within the 49 per cent. So, you have to remove controls. You have to make it easier for people like us to do business.” He said the final approval letter came on the last day, after which the issue of Rs 10,000 crore had to be postponed as there were other listing deadlines of Indian and the US stock markets to be met. “It is very difficult. And it is only administrative and what does it achieve? If it is within the limits, why should it go to Cabinet Committee on Economic Affairs. Why spend the Prime Minister’s time on such things as he chairs the CCEA. “If it is a controversial issue, something on security or on defence or some other very important issue, then it can, but not for simple commercial transactions. Someone must take the initiative to remove this,” he said. Parekh said that this committee has been there for the last 35 years that he has been in the industry. He also said that a lot of work needs to be done at state levels too on ease of doing business, as things have not changed there either on approvals to start construction of a business etc.